The Japanese martial arts were developed by the samurai, the professional military caste in feudal Japan. This class came into being in the tenth century. At that time, Japan was ruled by an emperor and court aristocracy, and they employed the warriors in their political struggles. As time went on, the samurai came to hold the real power in Japan, and in the twelfth century they set up the shogunate, a military dictatorship which lasted (with a break of three years in the fourteenth century) until the nineteenth century. The social structure during the shogunate period was a feudal pyramid with the emperor as the theoretical top and the shogun as the actual apex. A samurai family owed allegiance to the clan. The clan served a lord, the lord served a higher lord, and so on until the lines of power converged in the person of the shogun. There was constant jockeying for position among the samurai lords, and the shogunate was held by different samurai lords and different samurai clans over the centuries. As a result, from the twelfth through the mid-seventeenth century — and especially for the last one hundred years of that period — there was constant fighting among the different clans and leaders. During this time, the samurai spent much of their time defending their own lands or serving their lords on the battlefields. The fact that there was a class of people whose permanent professional concern was fighting meant that the fighting arts received a good deal of attention and underwent a great deal of development and refinement. And the fact that there was constant fighting meant that this development and refinement took place under stringent, practical conditions and not merely in the theoretical atmosphere of a classroom. Because the development and practice of the martial arts was rooted in the life and death stakes of warfare, the samurai could not afford to be satisfied with anything less than a real perfection of the fighting skills. As a result of this need for maximal effectiveness and efficiency, the samurai developed fighting techniques based on the principle of accord: the idea that the best way to deal with a force is to work in cooperation with it rather than against it. In the same way that a beginning swimmer thrashes around and wastes a lot of energy fighting the water, and an advanced swimmer cooperates with the water and uses much less effort, so the samurai warriors learned to cooperate with the medium in which they moved. That medium was the opponent's attack, and the greater the sensitivity of the warrior, the more he used the attack for his own defense and counterattack. The principles of accord call for precise, sensitive movement and timing. Also of great importance is a deep knowledge of oneself and a similar understanding of one's opponent. Without an acute awareness of his foe a warrior was assured quick death. A superior warrior was not only technically brilliant, he was also extraordinarily sensitive, able to match, blend with even turn an attack back on the attacker. The warrior had not only to perceive exactly what his opponent was thinking and doing, but he also had to be able to surprise the opponent, control his timing and disrupt his ability to focus an attack. At the same time, the warrior had to maintain his own self-control and balance and prevent his opponent from influencing him. And all this took place under the pressures and distractions of the battlefield. To develop these skills, training included intense study of the self as well as the other. 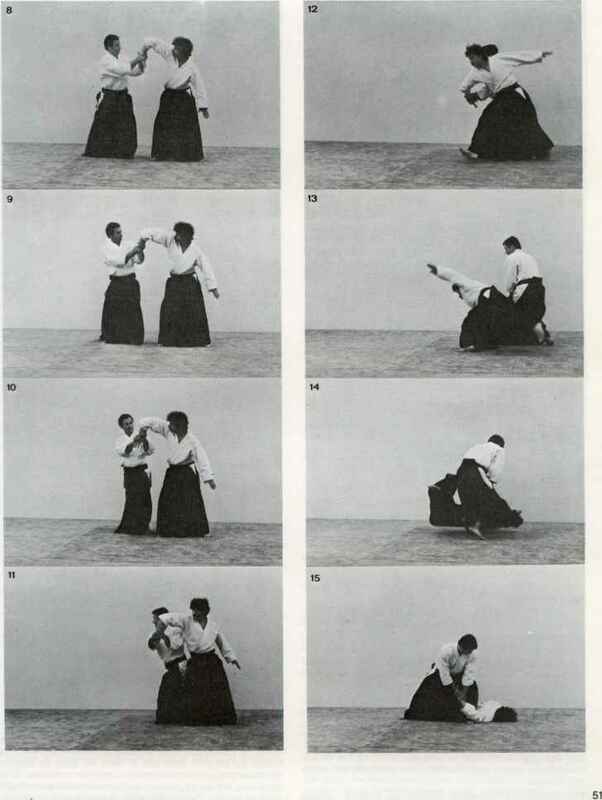 The training in the martial arts emphasized that the two fighters formed a continuous, unified field rather than being merely separate, antagonistic objects. What the warrior had to understand and control in his own mind and body in order to fight effectively were the same things he had to understand and manipulate in his opponent to decrease his opponent's fighting effectiveness. The mental and physical presence of each warrior affected the other, and dealing with this was part of the combat. In order to fight well, a warrior had to focus his mind so that his intentions and consequently, his movements were crystal clear and strong. In addition to allowing the warrior to move well, this focused state of mind was also the foundation for both the ability to perceive the opponent's fighting movements and for the ability to disrupt the opponent's mind and body so as to impede his movements. To learn mental focus, various meditation and purification disciplines were employed. From their beginnings in India and China, Korea and Japan, the martial arts were associated with the various meditative disciplines prevalent in the different countries. Shinto and esoteric Buddhist practices were commonly employed in the martial arts. Such disciplines were highly developed psychological tools which focused on and were able to manipulate effectively many very subtle mental and physical phenomena. It was because they had access to such disciplines that the samurai were able to extend their training far beyond the combat techniques per se into areas of mental and physical self-control and discipline and were able to deal with the whole person rather than just certain parts. Meditation and other esoteric practices allowed the samurai to cultivate a state of mind that would allow him to fight well and, if necessary, die well. What state of mind enables a person facing deadly attack to embrace aggression and cooperate with it? Certainly a normal reaction to deadly peril is to freeze up and resist whatever is happening. The state of mind necessary for the use of the strategy of accord is a state of complete concentration, calmness, alertness and inner peace, what Aikido calls being Centered.